How do I participate in a POPin? Someone in my organization invited me to a POPin. Now what? 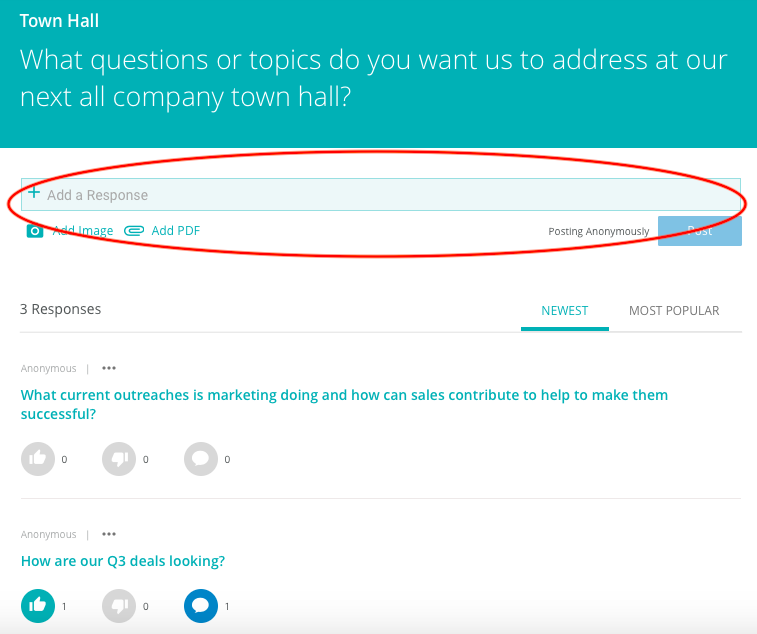 POPin allows users to not only respond to questions but also to interact with responses submitted by peers. This creates a conversation that gives leaders a prioritized list of responses, based on the number of votes and comments. 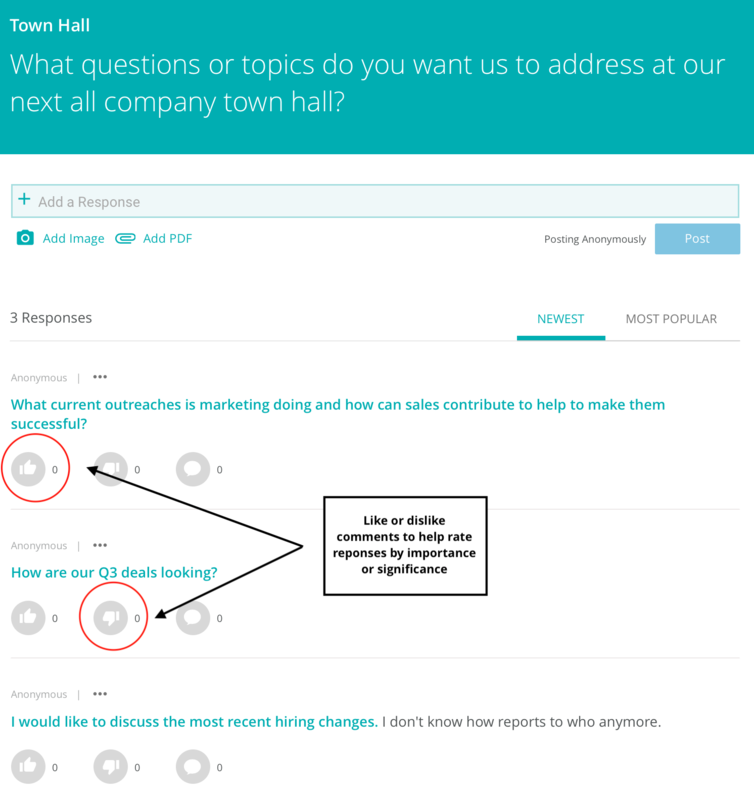 Start by reading through existing responses and adding a comment or vote. 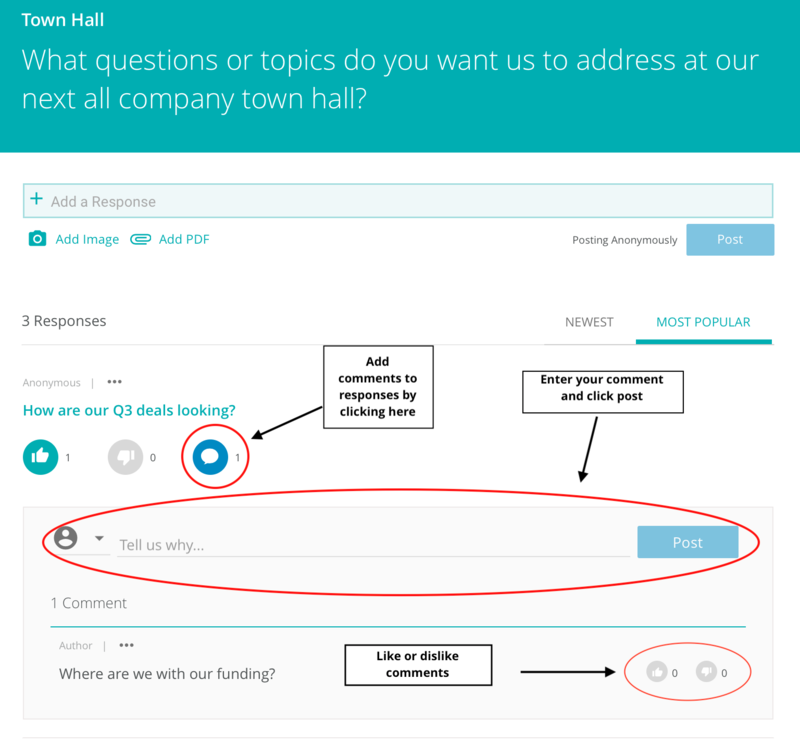 If you'd like to add a response to the question, enter your response to the question by typing it in the “Add a Response” box and clicking post. You can also add an image or PDF to better highlight your ideas. Similar to other social media tools you may use, POPin allows you to continue the conversation in the comment section.